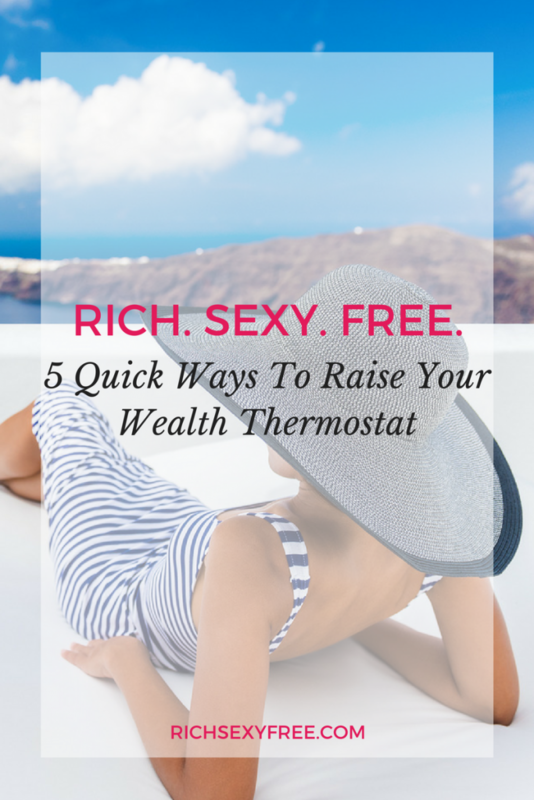 There are thousands of books on practical things to do with your money (and I’ll be discussing them too throughout our journey together), but what’s not talked about as much are the internal ways to change your wealth thermostat and set yourself up for success. 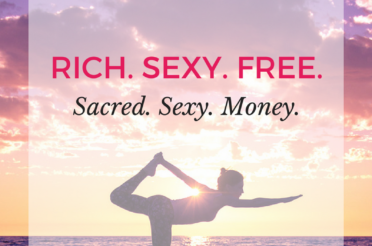 “The Inner Game of Wealth” (as many of us like to call it these days) is equally crucial to achieving the income, prosperity and abundance you desire. Don’t get me wrong, I believe in all the practical things too like tracking expenses, budgeting in alignment with your goals and values, paying yourself first, investing, etc. but until you change what’s happening internally, many women often resist those things or begin them and then sabotage themselves. It reminds me a lot of dieting (something I don’t believe in whatsoever, but that’s a discussion for another day). Willpower only lasts so long, and then it backfires. 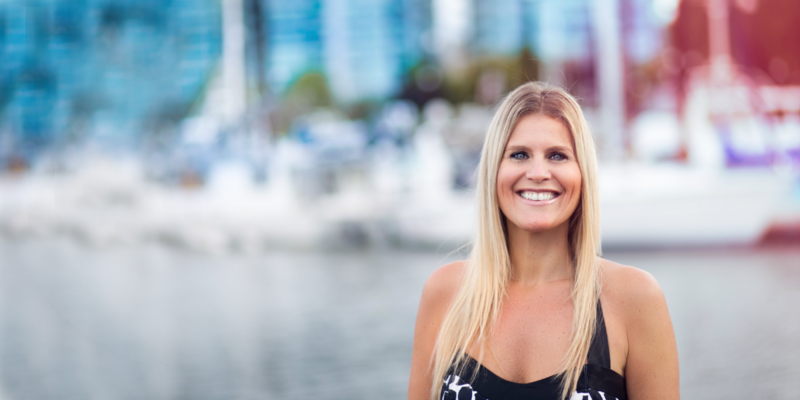 When I started my business back in 2004, I broke the 6-figure mark rather quickly and easily. Unfortunately, at the time, I didn’t really understand the power of emotions and mindset and didn’t know how to sustain my success. 1. THE POWER OF A STICKY NOTE. There’s nothing like the power of “autosuggestion” to kick your mind into high gear! Write your goals and affirmations on sticky notes (aka: post-it notes) and stick them in your office and/or around your house. Each time you see them, say them to yourself and really feel into them. Soon, your mind will become used to your goals and will search for ways to bring them into reality. 2. STOP, DROP + TAP! Once I was introduced to “tapping,” I knew there was no going back! It’s unlike any technique I’ve used over the years. My mentor always says, “Stop, Drop + Meditate.” Me, I say “Stop, Drop + TAP!” It does wonders for the soul! 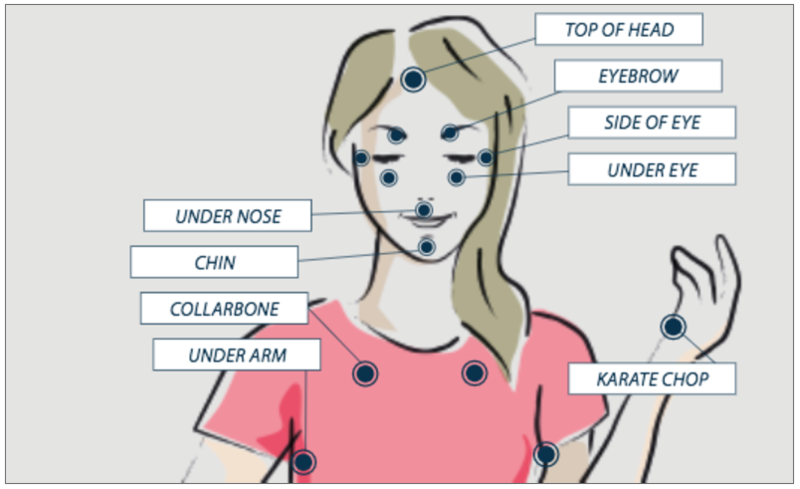 Tapping is a technique used to heal emotions. When you use tapping, it frees you from the negative emotions tied to limiting beliefs, fears and old memories that unconsciously block your desires. 3. RICH FOCUS = RICH LIFE. Being rich is about living your life on your own terms, and that means different things to different people. The more you focus on all the things that make you feel rich, happy and prosperous (in any area of your life), the faster you’ll attract the other things you desire. What are you loving in your life at the moment? 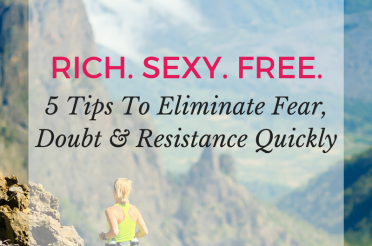 What’s making you feel rich, nourished and abundant? It can be in the area of health, finances, business, relationships, spirituality or lifestyle. All wealth is created with the human mind so look around you and notice all the ways you’re already abundant and free. Make a list and add to it every day for the next week and notice how quickly your circumstances change! I am enthusiastically building a 6-figure business. I can definitely create a successful, 6-figure business that feeds my soul and makes an impact. I will easily create my 6-figure business. I choose to create a 6-figure business while having a blast every step of the way! 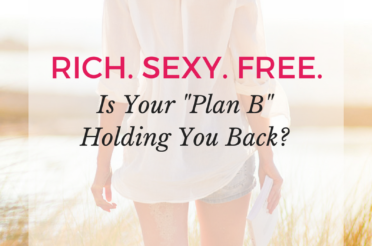 I have the tools, skills, and resources to create the 6-figure business of my dreams. 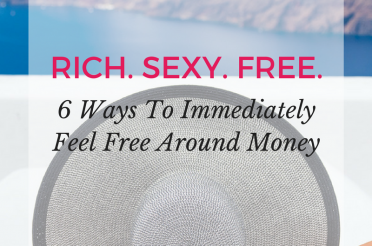 I love the idea of creating a 6-figure business and am confident I can do so! 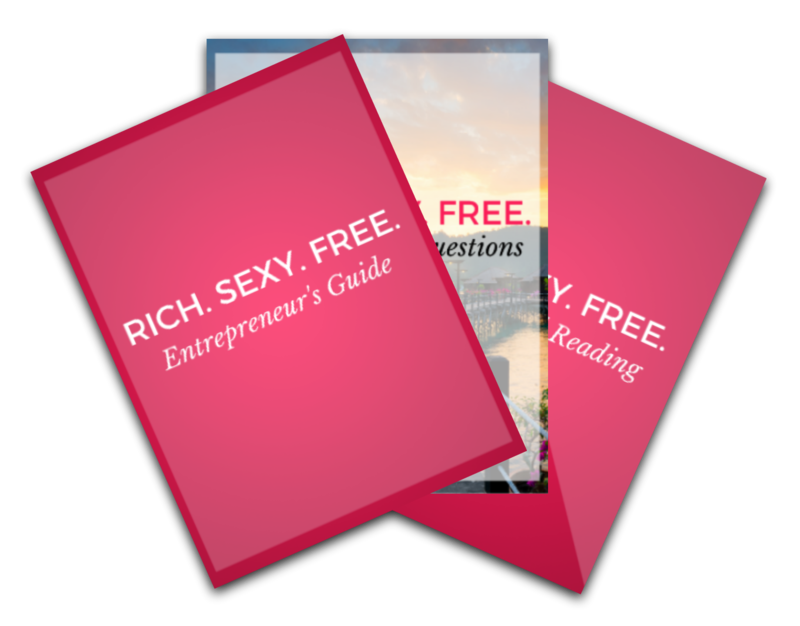 I create my 6-figure business with joy, enthusiasm, inspiration and ease. I enjoy working on my business and turning it into a 6-figure business that inspires and motivates women. I desire a freedom-based business that lights me up and excites me, and I am committed to creating it. I am confident I can create the 6-figure business I desire. I look forward to being a woman of influence and a leader in my field. I am allowing myself to create a 6-figure business. Also, whatever affirmations/mantras you really love, write them out and review them first thing in the morning and right before bed. Money supports me and my desires. Money is flowing to me from every direction. My bank account is growing daily. I feel abundant and happy. I have the freedom to do what I want to do – when I want to do it. 5. THE ART OF POWERFUL QUESTIONS. How can I have the most amazing day ever? How can I have a miracle? How can I experience even more joy and happiness today? How can I create a million dollars? How can I create even more success? How can I bring even more love into my life? How can I become an even better businesswoman? What’s the fastest, most joyful path to my goals? What’s the next best step for me to take? Another great questions to ask yourself is, “Why not me?” If there’s something you really desire, but it feels out of reach, ask yourself this question. You’ll quickly realize that if one person can achieve something, there’s no reason why you can’t too! Which technique will you try? Leave a comment, and let me know!